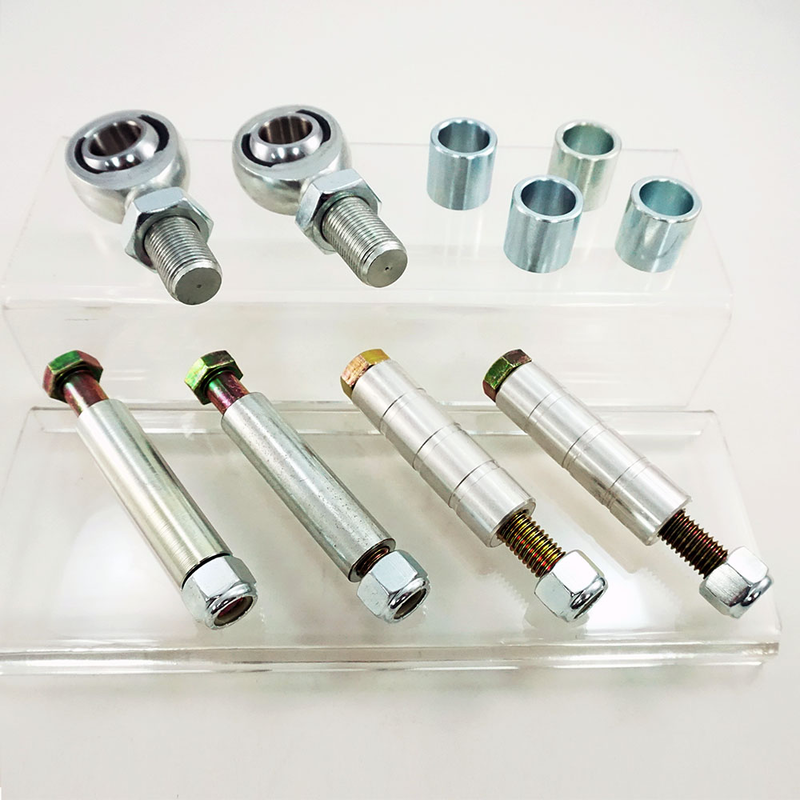 Designed for the extremely hard launches that cars going 8 seconds or faster create our Extreme Series Hardware Kit is your solution for bending/breaking your factory hardware. The hardware is all 1/2" Grade 8 and coupled with our 3 piece Tooled Steel Bushings with an outside diameter of 3/4" acting like a solid mount to your chassis eliminating all flex. The Heim joints are Chrome Moly, teflon lined with a 28k lb Radial Static Load Capacity. This kit replaces both Heim Joints for your Pro Series Lower Control Arms and includes all bushings, bolts and nuts needed for the install. Installs in 30 minute or less. 1979 1980 1981 1982 1983 1984 1985 1986 1987 1988 1989 1990 1991 1992 1993 1994 1995 1996 1997 1998 V8 GT Mustang Steeda Roush & Saleen Vehicles. No one else can stack up to the bold clean styling of our aftermarket Billet dress ups, Street Strip & Racing Suspension & Performance Parts for your late model American Muscle Car!